Sarah Nader - snader@shawmedia.com Huntley's Jordan Goldstein (left) tags out McHenry's Garrett Gillund while he slide to second base during the seventh inning of Wednesday's Class 4A McHenry sectional semifinal May 31, 2017. 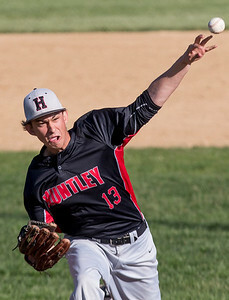 Huntley won, 7-2. Sarah Nader - snader@shawmedia.com Huntley's Bradley Maurer dives for the ball during the seventh inning of Wednesday's Class 4A McHenry sectional semifinal against McHenry May 31, 2017. Huntley won, 7-2. 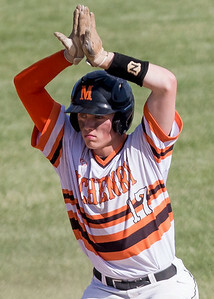 Sarah Nader - snader@shawmedia.com Huntley's Kyle Morgan pitches at Wednesday's Class 4A McHenry sectional semifinal against McHenry May 31, 2017. 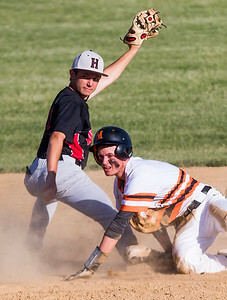 Huntley won, 7-2. Sarah Nader - snader@shawmedia.com Huntley's Joe Boland catches a fly ball during the sixth inning of Wednesday's Class 4A McHenry sectional semifinal against McHenry May 31, 2017. 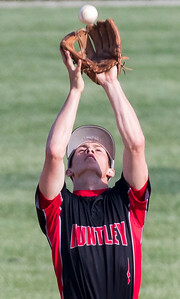 Huntley won, 7-2. 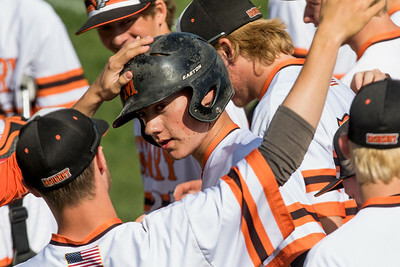 Sarah Nader - snader@shawmedia.com McHenry's Nick Finley celebrates a double he hit during there third inning of Wednesday's Class 4A McHenry sectional semifinal against Huntley May 31, 2017. 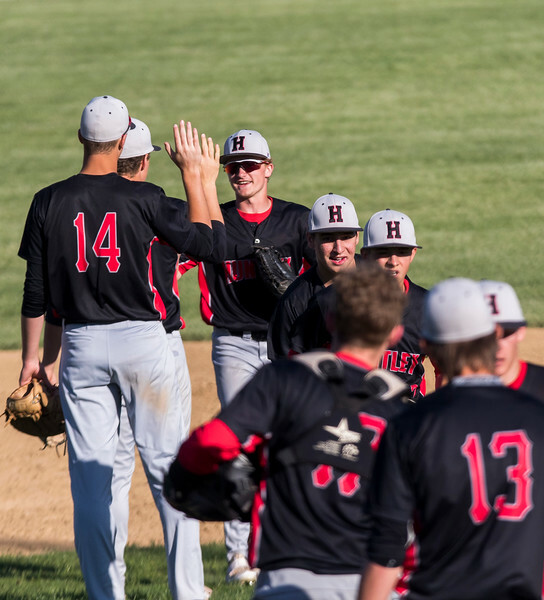 Huntley won, 7-2. 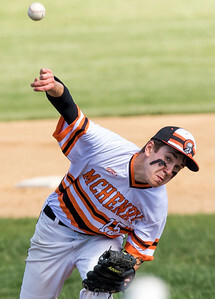 Sarah Nader - snader@shawmedia.com McHenry's Joe Kaminski pitches during Wednesday's Class 4A McHenry sectional semifinal against McHenry May 31, 2017. 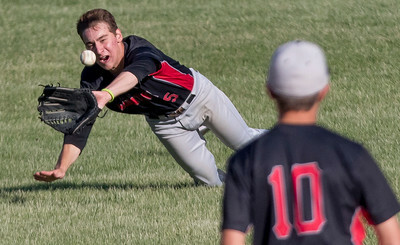 Huntley won, 7-2. Sarah Nader - snader@shawmedia.com McHenry's Garrett Gillund (center) is celebrated after hitting a home run during the second inning at Wednesday's Class 4A McHenry sectional semifinal against McHenry May 31, 2017. Huntley won, 7-2. Sarah Nader - snader@shawmedia.com Huntley players celebrate after defeating McHenry at Wednesday's Class 4A McHenry sectional semifinal May 31, 2017. Huntley won, 7-2. Huntley players celebrate after defeating McHenry at Wednesday's Class 4A McHenry sectional semifinal May 31, 2017. Huntley won, 7-2.